Korea has a rich legacy of travel literature. This book brings to light a treasure trove of literary works left behind by Koreans on the road, including an eighth-century monk who journeyed to India, the Confucian literati exiled to remote islands, the Joseon diplomatic envoys to China and Japan, and a contemporary female globe trotter. Their writings illuminate fascinating aspects of the spiritual history of the Korean people. 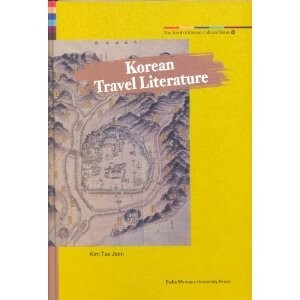 Weiterführende Links zu "Korean Travel Literature"
Unser Kommentar zu "Korean Travel Literature"
Kundenbewertungen für "Korean Travel Literature"